Courtesy of Alain Pinel Realtors, Laura Stevens. Not in the hills, just off Highway 9! This stunning home features modern design and contemporary finishes. Completely remodeled in 2016, this multi level, open concept floor plan has 5,760 square feet (buyer to verify), 4 bedrooms + office/2nd family room or 5 bedrooms, 4 full and 2 half baths. Approximately 3.50 acres of gorgeous private grounds yet minutes to downtown Los Gatos & Saratoga. Entertainer’s gourmet kitchen with Thermador appliances, huge island, walk in pantry, 2 dishwashers & wine refrigerator. European white oak floors & tile, and 4 fireplaces. Luxurious master suite with sitting area and large deck with views. Multiple skylights bring loads of natural light inside. Decks off every room and gorgeous VIEWS!! Pool, spa and pool house with full bathroom. 3 car garage with electric car charger (Tesla). Excellent Saratoga schools (buyer to verify enrollment). GPS use Los Gatos, 95030. 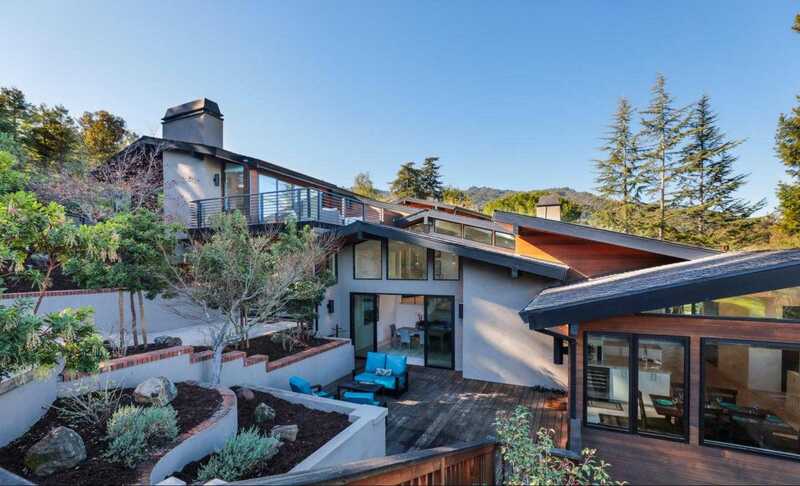 Please, send me more information on this property: MLS# ML81736883 – $5,500,000 – 19288 Bainter Ave, Saratoga, CA 95070. I would like to schedule a showing appointment for this property: MLS# ML81736883 – $5,500,000 – 19288 Bainter Ave, Saratoga, CA 95070.